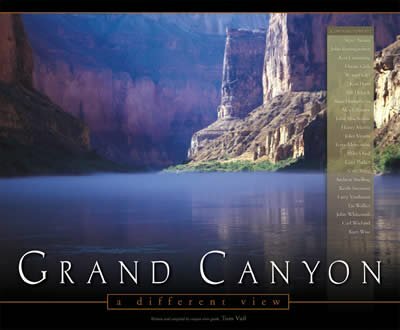 AiG has been following the efforts of leading evolutionists to ban the creationist photo-essay book Grand Canyon: A Different View from the bookstores at Grand Canyon National Park. For almost a year, AiG has been following the efforts of leading evolutionists to ban the creationist photo-essay book Grand Canyon: A Different View from the bookstores at Grand Canyon National Park in Northern Arizona, USA.1 Some revealing information has recently come to light about the unseemly way the protest was launched (more about that in a moment). The book’s appearance in a Grand Canyon National Park bookstore incurred the wrath of evolutionary zealots, including a letter from the presidents of seven leading science groups who launched a censorship effort almost a year ago. But their book-banning efforts backfired. Their opposition created such publicity (including a feature piece on The CBS Evening News with Dan Rather, ABC’s World News Tonight with Peter Jennings, National Public Radio and several newspaper reports ranging from Taiwan to Texas), that the publisher is now going to a fourth printing (total: 40,000 in print). 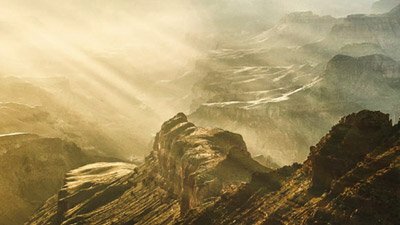 Tom Vail’s striking book (which features essays from four AiG staff and fourteen Ph.D. scientists) presents an alternative scientific and philosophical viewpoint that runs contrary to evolutionary dogma, which claims that the canyon was formed over millions of years by the Colorado River. 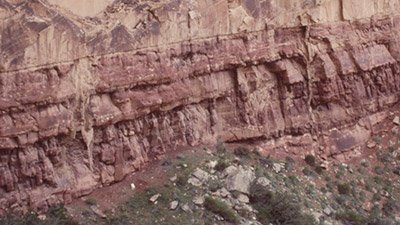 We should add that the idea that the Canyon was actually carved out quickly and by a lot of water—the long-held creationist view—is now accepted by many evolutionary geologists who have studied the Canyon; however, the story still told at the Canyon is that it was formed over millions of years by erosion, i.e., from the slow carving action of the Colorado River. The weekly news magazine Time, with a guest commentary last month on its website, has kept the issue simmering. It was also a highly revealing piece, for it helped author Tom Vail uncover some “behind-the-scenes” shenanigans in the initial censorship effort. It appears that the letter of protest co-signed by the presidents of the seven science groups, demanding that the book be removed, was a collaboration between one or more government officials and these “outside” science groups. While we don’t know who actually originated the letter, we do know that it was initially edited by at least one National Park Service employee (a division chief, no less!). I am Tom Vail’s attorney, defending him against the National Park Service’s ill-advised efforts to force a private concessionaire to remove his books from their stores. “Ill-advised” is most apt in this instance for at least two reasons. First, documents that I obtained via a public records request revealed that the complaint letter purportedly generated by private scientists was a collaborative (and in my view, highly unethical) effort by senior National Park Service employees, who extensively edited the scientists’ “complaint” letter. Amazingly, it appears that at least one official first helped to write the “complaint,” then volunteered to help the NPS respond to the “complaint” once it was received at their offices. Thus, if Mr. Ruch of the Public Employees for Environmental Responsibility (PEER) [Ed. quoted in the Time commentary as opposing the book] is to take umbrage and express indignation, perhaps it should be at government employees apparently using government salaries, equipment, and materials to collude with outside activists to advance a personal agenda. Second, if geologists are unwilling to take a serious look at Vail’s interpretation of the evidence, perhaps they should look to their own sorry history in handling the “Great Scablands Debate.” It is a delightful chapter of natural science history, in which scientist J. Harlen Bretz [sic] proposed an unorthodox, catastrophic flood to explain how some 3,000 square miles of Washington state developed an unusual topography. He broached the theory in 1923, only to suffer decades of vile reproach from the scientific community. Why? Because as Stephen Jay Gould put it, the scientific community “held firm to the dogma that catastrophic causes must never be invoked so long as any gradualist alternative existed” (The Great Scablands Debate, Natural History, Aug/Sept. 1978). It took the scientific establishment some 40 years before other research confirmed Bretz’ theory—leaving Bretz with a prestigious professional award, and the scientific community with a too-small dose of humility. Were I a geologist, I’d be inclined to ignore the theology of the matter and make certain that a “bystander” hasn’t seen something that I missed. Instead, these scientists have assumed the awkward (and often utterly wrong) role of would-be book-banners. Similarly, PEER’s Mr. Ruch is far afield when he charges that the Bush administration “panders” to Christians, based upon the presence of a few small Scripture plaques near the Canyon’s rim. [Ed. 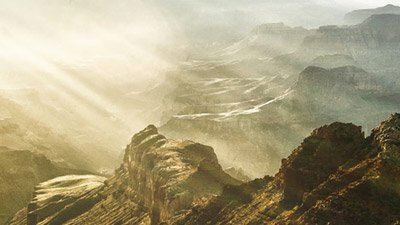 Read our web story about this other recent Grand Canyon controversy at Remove God from the Grand Canyon?] Nonsense: the plaques have been present on a private concessionaire’s facility since about 1970. In late 2003 some addlepated officials tore them down, acting upon one vague email from the ACLU. Again, my organization intervened, representing the religious order that originally placed the plaques with permission of the private concessionaire, and the plaques were restored to their rightful place after we explained some basic First Amendment law to the NPS. I would agree with Mr. Ruch on one point: it’s time to be truthful about these matters—and the truth is that the Constitution does not demand that our civil society be swept clean of religion—any more than it would require that the theistic and religious content of our Declaration of Independence be edited to conform with today’s left-leaning hyper-secular sensitivities. AiG stopped being surprised years ago at the lengths many evolutionists will go to suppress any effort to criticize their evolution belief system (e.g., witness the ways they, along with the so-called American Civil Liberties Union (ACLU), have often attempted to prevent any criticism of evolution in America’s public school classrooms—see Will the Sticker Stick?). While we appreciate the fact that the NPS officials in Washington, D.C. are being careful in their handling of this issue amidst tough lobbying by evolutionists to have the book banned, we believe that the NPS employee(s) involved in editing the letter that was later sent by the science-society presidents to the NPS superintendent should, at the very least, receive a reprimand. In today’s so-called “culture wars” (sometimes described as the struggle between biblical Christianity and secular humanism), it has become even more imperative that Christians help restore the biblical foundations that are a part of America’s heritage (and those of other Western nations with a similar Christian heritage, such as England). Please pray with AiG to this end. Our first article—on what eventually turned out to be an international controversy—appeared in early January of this year: Geologists in an Uproar.